Bloomfield Township, Oakland County - Announcing a price reduction on 2469 Inglehill Point, a 2,577 sq. ft., 2 bath, 3 bdrm 1 1/2 story. Now MLS® $300,000 - Reduced!. Birmingham Woods, Birmingham - Announcing a price reduction on 14 G-359 N. Eton, a 963 sq. ft., 1 bath, 2 bdrm 2 story. Now MLS® $112,000 - . Rochester Hills, Oakland County - Possibly, the best priced home on its kind on gravel road with extremely low traffic! 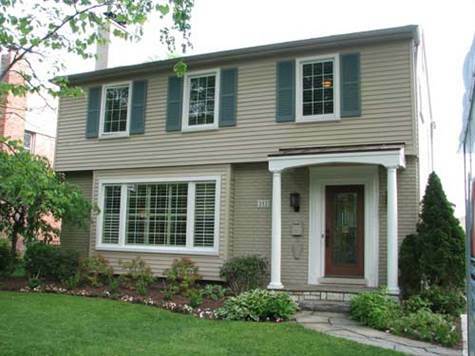 Great Rochester Hills colonial on a huge lot surrounded by newer and more expensive properties. This home has been meticulously cared for. Abundance of storage. Newer roof. City water for your home and additional well for all your yard watering without increase of your water bill. Nicely landscaped with Patio. Shed for all your tools storage. First floor Laundry and Mud rooms. New carpeting, freshly painted. Absolutely nothing needs to be done - just move right in! Close to park. Close to Auburn Rd, Crooks Rd, Adams Rd and only 3 miles from I-75 for your convenient commute. And - last but not least - very low Rochester Hills property taxes! Savannah Court, Farmington Hills - Announcing a price reduction on 32320 W. 12 Mile Road, a 1,425 sq. ft., 1 bath, 2 bdrm townhouse. Now MLS® $153,000 - . Beverly Hills, Oakland County - The 1 1/2 story at 16265 Reedmere has been sold. Savannah Court, Farmington Hills - Fussy buyer's paradise! The finest in Savannah Court. Decorator perfect town home, completely renovated in the last few years. Shows like a model. New eat-in kitchen and baths, furnace and AC. Many new high end fixtures. Spacious rooms and lots of closet space. Master bath. Covered parking and pool. Priced almost $20k below seller's purchase price for quick sale. Quarton Lake Estates, Birmingham - The colonial at MI-975 Fairfax has been sold. Poppleton Park, Birmingham - Enjoy living right on Poppleton Park! Updated colonial has a newer eat-in kitchen and stainless steel appliances. Hardwood floors throughout most of the home. Potential 4th bedroom and full bath in finished lower level - could be au-pair suite. Newer windows and landscaping. Fenced yard with electric gate at driveway and gated access to park. This home is move-in ready. Royal Oak, Oakland County - Pottery Barn perfect and right across from the park. Updated 4 bedroom Royal Oak bungalow, with newer kitchen, bath, furnace, roof, hot water heater. Finished basement. Hardwood floors. Lovely fenced yard with large deck. Newer garage offers enormous walk-up storage space. Built-ins. Under-eave storage. This is a delightful home and truly move-in ready. Beverly Hills, Oakland County - Charming, and updated, this Beverly Hills cape cod is sure to please. Newly updated kitchen with granite and hardwood floors is open to the family room. New finished lower level with fireplace. Formal dining room, 4 bedrooms, and a large attic storage space you won't believe. Paver patio. Attached 2 car garage with basement access. Birmingham schools or close to Queen of Martyrs. Birmingham Country Club, Birmingham - Rare 5 bedroom Birmingham home on beautiful .85 acre lot. Abundant space. Finished walkout with fireplace and wet bar. Updated baths. 4 fireplaces. Newer master suite. Many custom updates. Super neighborhood. Beverly Hills, Oakland County - Spacious master w/walk-in closet, Jacuzzi tub, vaulted ceiling and skylights. Fireplace and built in bookshelves. Cherry bar. 2 newer bathrooms. Library/office on main level. Hardwood floors. Attached 2 car garage. Mechanicals are updated including windows, furnace, ac, plumbing & electrical. Birmingham schools. Finished LL with bath & poss. 4th BR. Wattles, Troy - Honey, get packing! This newer Troy colonial is in fantastic condition and priced below seller's purchase price for a quick sale. Wonderful rear yard. Quiet street sides to woods with path through to park. Spacious, light filled great room gets with French doors out to expansive deck. Finished basement. Freshly painted throughout. Newer roof. Library with built-ins. All you'll need to do is unpack your boxes.